Srinagar : About a month after being controversially released from a jail, separatist leader Masrat Alam was here on Wednesday booked for unlawful activities. But he was not arrested. Alam was part of a procession that gathered in uptown Hyderpora locality of Srinagar city to welcome hardline senior separatist leader Syed Ali Geelani who returned to the Valley on Wednesday after remaining in New Delhi during winter for health reasons. Alam was flanked by youth, who raised pro-Pakistan and pro-freedom slogans and displayed Pakistan flags. "We have lodged an FIR against Masrat Alam under the unlawful activities act in a local police station. Law will definitely take its course following the lodging of the FIR," a senior police officer told IANS here. Police, however, have not arrested Alam so far. 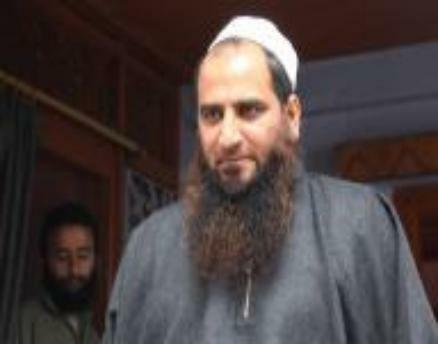 Masrat Alam''s release from detention was ordered last month by Chief Minister Mufti Muhammad Sayeed immediately after taking over the reins of power in Jammu and Kashmir. Sayeed''s decision had attracted a lot of flak both from the opposition and his ruling ally Bharatiya Janata Party. The development even rocked the parliament in New Delhi where the union Home Minister Rajnath Singh had to make a statement to cool tempers over the top separatist leader''s release.